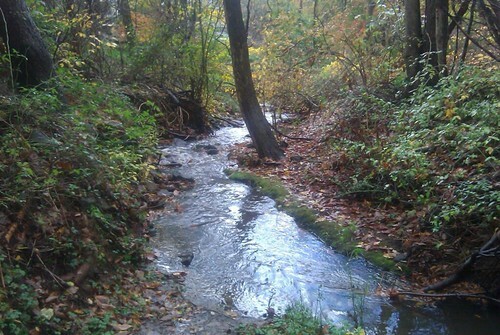 The Maryland Department of Natural Resources is offering free tree seedlings to landowners who have a creek, drainage ditch, stream or other waterway on or near their property through the Backyard Buffers program. Trees and shrubs planted along waterways help improve water quality by absorbing excess nutrients, lowering peak water temperatures, reducing sediment and stabilizing stream banks. Each “buffer in a bag” contains about 30 native bare-root tree and shrub seedlings suitable for planting in moist soil conditions. This year’s bundle will include a mix of black chokeberry, buttonbush, eastern redbud, pitch/loblolly hybrid, swamp white oak and Washington Hawhthorne. Maryland Forest Service staff will provide information on tree maintenance and planting techniques, in addition to suggestions on other good native species at the time of pickup. Requests must be received by March 31. Interested property owners should contact Sean Weaver at 301-791-4010 to reserve their seedlings. Bundles will be available for pickup in early April. Quantities are limited so reservations will be taken on a first-come, first-served basis.